The Author aims at teaching modeling i.e. translating verbal problem statements into Prolog or CLP programs. This has been dealt with by a series of problems of increasing complexity, translated into Prolog or CLP programs and running under ECLiPSe. The theoretical background has been minimized while stressing intuitive understanding. Presented constraint satisfaction problems deal with finding feasible/optimal states, and feasible/optimal state-space trajectories, starting with simple puzzles and proceeding to advanced ones, like graph coloring problems, schedu-ling problems with particular attention to job-shop problems (including the famous MT10 benchmark), and Traveling Salesman Problems. The last chapter is concerned with Continuous Constraints Satisfaction and Constraint Optimization Problems. The book is only available through this website. buy a hardcopy of the book with text files of examples. 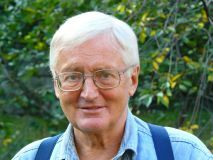 For the last 20 years he was engaged in work on expert systems and constraint logic programming. Nie udało się poł±czyć z baz± danych. 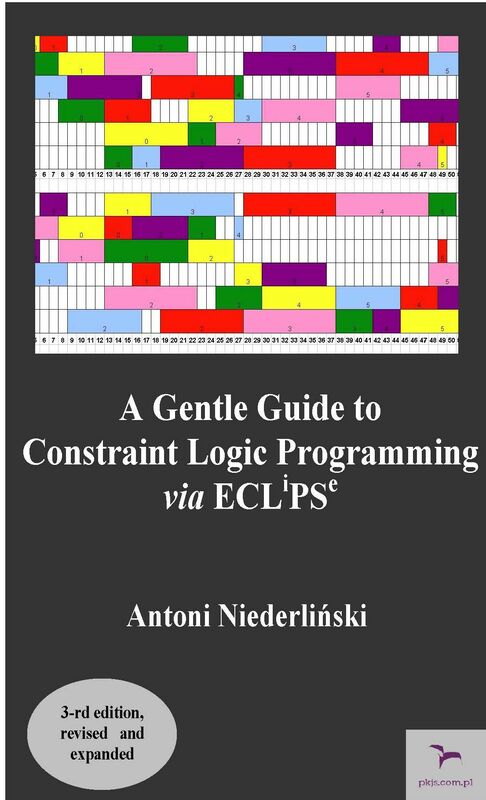 Keywords: ECLiPSe, learning ECLiPSe, Prolog, learning Prolog, learning CLP, Constraint Logic Programming, Prolog examples, Constraint Logic Programming examples, CLP examples, Antoni Niederliński, Antoni Niederlinski.